HIDALGO — After receiving an inbounds pass with four seconds to play in the third quarter, Briante Weber took two dribbles and sent a pass from midcourt to Matt Williams Jr. in the right corner. When Williams knocked down the 3-pointer as the buzzer sounded to give the Sioux Falls Skyforce a commanding 12-point lead, Weber sprinted toward the RGV Vipers bench. Standing just a few feet from a group of players he had called teammates for the first 13 games of the G League season, Weber screamed in celebration. Weber said he played Saturday’s game with a chip on his shoulder, remembering how he had been released on Jan. 15 after beginning the season on a two-way contract with the Houston Rockets. He finished his return to State Farm Arena with a near triple-double of 20 points, 11 assists and nine rebounds, and his find to Williams was one of the highlights of a 25-3 run that lifted Sioux Falls to a 147-133 win against RGV. Weber helped orchestrate an offense that shot 58.8 percent from the field, including a 65.3-percent clip in the second half. From beyond the arc, Sioux Falls shot 46.2 percent for the game and 58.8 percent during the final 24 minutes, totaling 18 3-pointers. Ike Nwamu scored 37 points on 9-of-16 3-point shooting, while Kadeem Jack scored 28 points on 13-of-15 shooting. Tony Mitchell added 24. 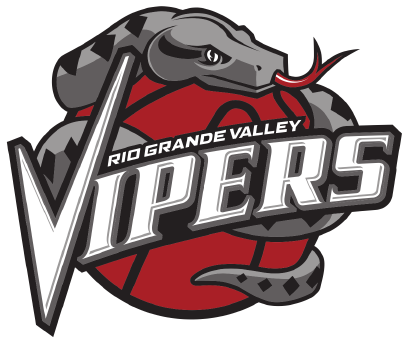 The loss is the Vipers fifth in the past six games, dropping the team to 19-14. The Vipers led 92-87 with 3:36 to play in the third quarter before Sioux Falls scored 12 straight to take a 99-92 lead. That run stretched to 17-2, 25-3 and eventually 31-5 to give the Skyforce a 118-97 advantage with 8:30 to play. Sioux Falls led by as many as 23 points in the final quarter. Hunter was RGV’s standout on Saturday, scoring 35 points on 12-of-18 shooting and 6 of 9 from beyond the arc. He also notched a season-high 13 rebounds and added seven assists. Hunter was assessed a technical foul in the fourth quarter after shouting and pumping his fist in the direction of an official following a blocking foul against Chinanu Onuaku. Brase was also assessed a technical during the fourth quarter. Brown was involved in a minor altercation at the end of the game, as a group of players from both teams gathered around the Sioux Falls bench following the final buzzer. With a double-digit lead, Sioux Falls scored on a dunk with 29.7 seconds remaining, another dunk with 17.1 seconds to play and a 3-pointer with 0.9 on the clock.